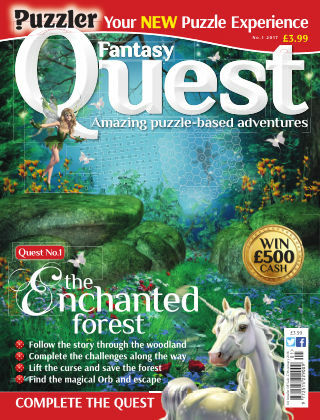 With Readly you can read Fantasy Quest and thousands of other magazines on your tablet and smartphone. Get access to all with just one subscription. New releases and back issues – all included. A whole new puzzle journey awaits! Are you brave enough to face the challenge and undertake the quest with your new companions? Each part of your journey has a puzzle to crack before you can progress to the next stage. Once you have completed them all, you will be able to solve the final conundrum and save the world from the evil forces which threaten it. A beautiful mix of compelling story and entertaining puzzles will draw you in to a new realm of enjoyment.